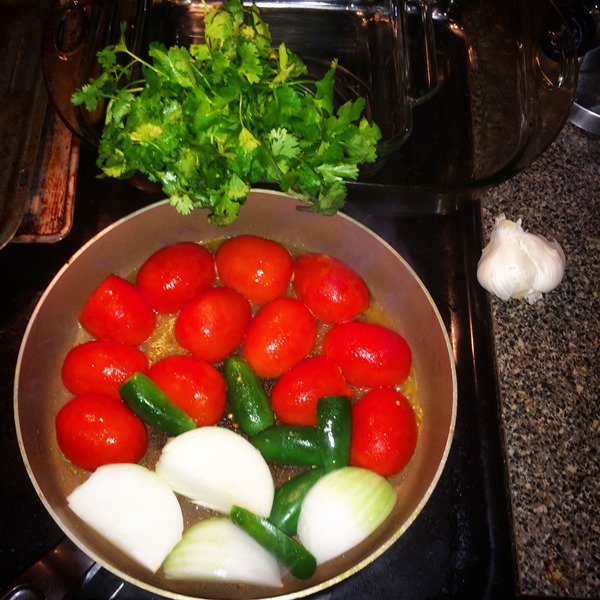 I love salsa, and I used to buy in the store all the time, until I realized that hey, I used to live in Mexico and make my own salsa all the time! Why did I stop doing that? Lucky for me, I had 6 very ripe roma tomatoes in my house as well as plenty of lemons. All I needed to get was an onion, some cilantro and jalapenos, and voila! 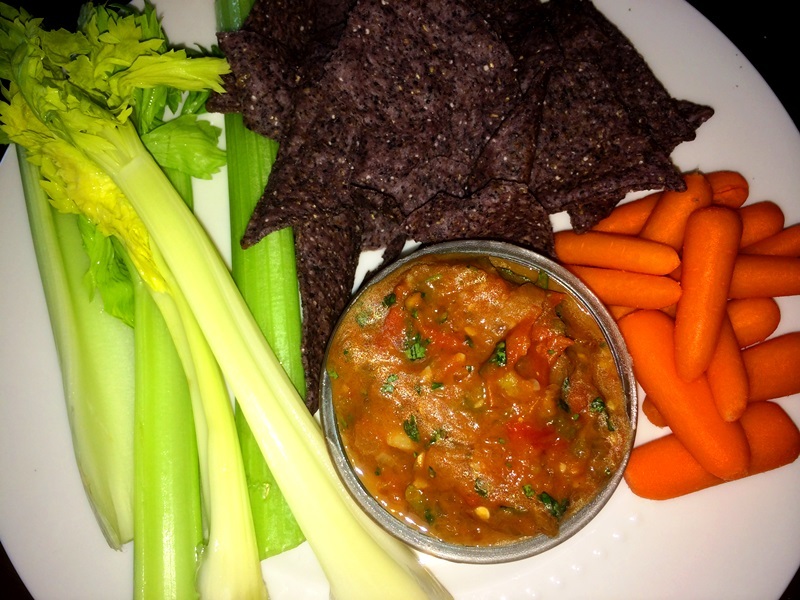 Savory, delicious salsa! 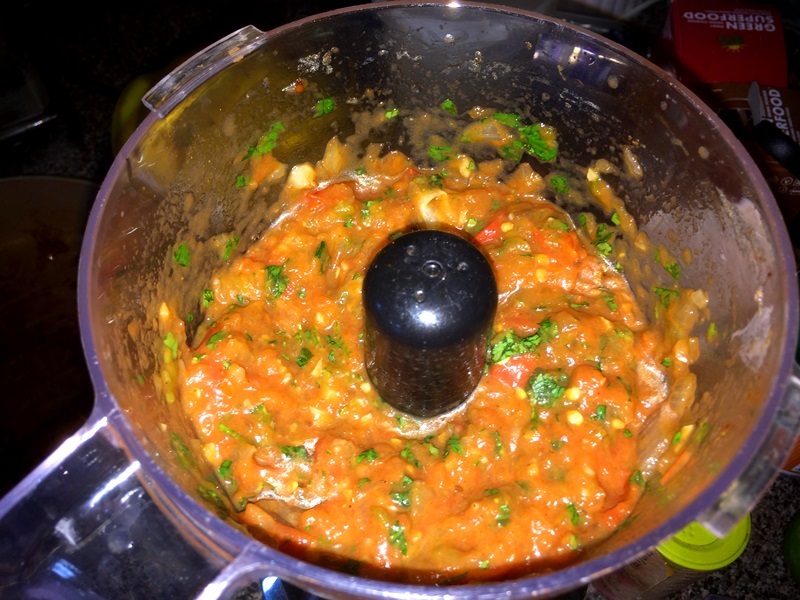 Depending on how chunky you want your salsa, continue to pulse-blend until you have reached the desired consistency. You can either eat it right then while it is still fresh and warm, or put it in a glass jar in the fridge. This mixture will keep up to a week, sometimes more! 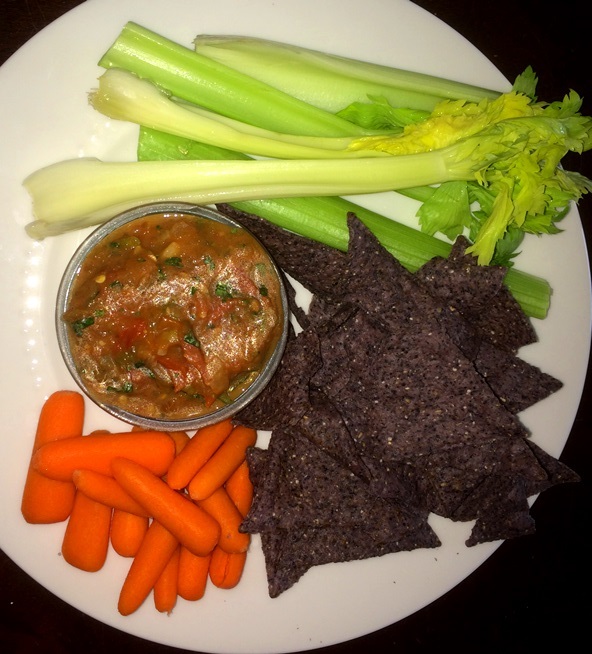 I ate mine with a bit of organic purple corn tortilla chips, celery and carrots! It was delicious !